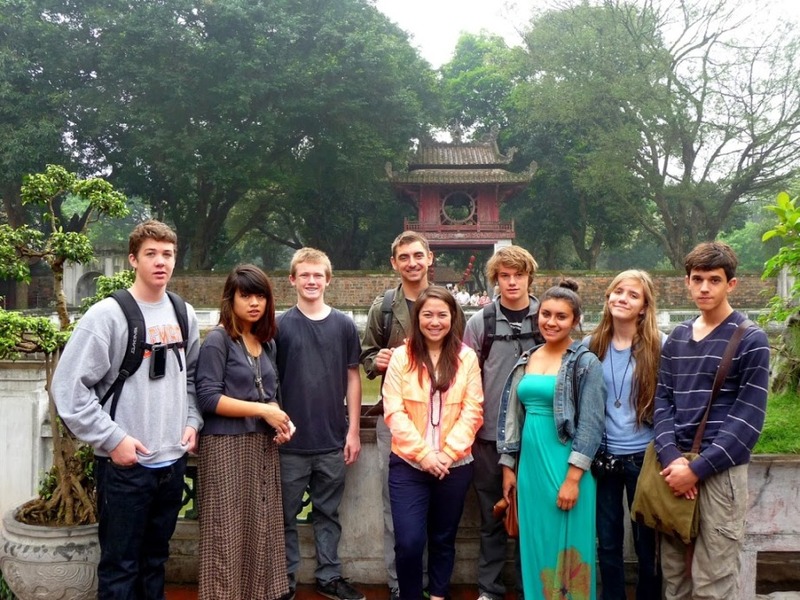 Vietnam School Adventure for Student Tours & Educational Travel. Book a 8 day Vietnam school adventure tour offering students with educational experiences through travel, uncover the unique culture, ancient history and friendly locals. This student trip covers most of highlighted sites from north to south Vietnam. You will start from capital city of Hanoi to the majestic Halong Bay, ancient town of Hoi An, bustle and hustle city of Ho Chi Minh and the colorful floating market of Mekong Delta. Arrive in Hanoi airport, meet and transfer to your hotel for check in. Afterward, you will take an hour cyclo tour around the old quarter called 36 ancient streets followed by Water Puppet Show. Dinner and overnight in Hanoi. A full day city tour of Hanoi includes Ho Chi Minh Mausoleum, his House on Stilts, the One Pillar Pagoda, Quan Thanh Temple, the Temple of Literature and the Vietnam Ethnology Museum. 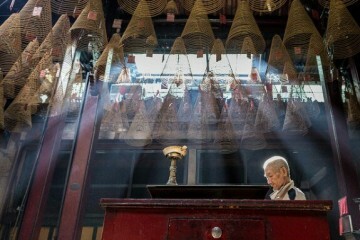 After lunch, you will continue to visit Opera House, Cathedral, Ngoc Son Temple. Overnight in Hanoi. Today, you will spend a day tour to Halong Bay, which is recognized by UNESCO as World Natural Heritage Site. It is an about 3.5-hour drive to Halong Bay, which is one of the most favorite Vietnam tours and really great for school student trip to Vietnam. On arrival, take a break in between to use rest room or have breakfast. On arrival at Halong pier around noon, you will board a small wooden junk and get off to the famous limestone marine landscape. Seafood lunch will be served on board while the boat is cruising. You will have a 5 hour cruise to discover the beauty of Halong Bay. 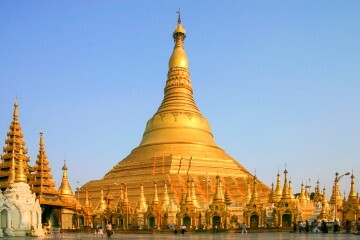 It is enough to see the most popular sights of it. You will not have time to cruise farther to the less traveled area. However, you’ll be able to soak up the natural splendor of Halong, relax on the sundeck and admire the different island and Islets with their differently fantastic shapes. You will stop to visit Sung Sot cave, one of the biggest ones in Halong Bay and climb up to the top of Titop Island to view the entire Halong Bay. If time permits, you will also have a 30 minute swim right at the Titop beach. Return to pier where our car returns you to directly Hanoi airport for your flight to Hoian via Danang. Overnight in Hoian. After breakfast, you will bike to Tra Que Village, where you will get a personal insight into the local farming communities. You will be joining the farmers in preparing their land for sowing, helping to fertilize the garden using seaweed from the local river and watering it in using huge tin cans strapped to our backs. Following this, you will continue your leisurely cycling tour through the countryside witnessing local Vietnamese rural life first hand. Late morning you will board our Hoi An Eco-tour boat for a river cruise. Here you will meet and witness local fishermen working their craft, before enjoying a hands-on experience of traditional net fishing. You then transfer to a Vietnamese bamboo basket boat for a quick race and ride down a coconut palm lined waterway. 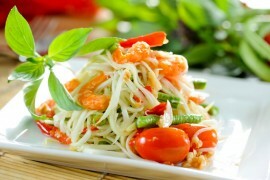 Lunch today, is on board our boat which is prepared using vegetables picked earlier at Tra Que Village. After lunch, you will be cycling back to Hoian town for a walking tour consisting of Japanese Covered Bridge, Phung Hung Ancient House, Phuc Kien Temple and Hoian Museum. Rest of the day is at leisure. Overnight in Hoian. Morning flight to HCMC. On arrival, you will visit Reunification Palace, Notre Dame Cathedral and Old Post Office, Remnant War Museum , Giac Lam Pagoda, Chinatown with ancient pagodas and temples and bustling Ben Thanh Market. Overnight in HCMC. After breakfast, depart to Cao Dai Temples in Tay Ninh – Cao Dai Holysee Temple is the cathedral of the Cao Daism religion with the Divine Eye – official symbol of Caodaism. After lunch, you will visit Cu Chi Tunnels consisting of more than 200km of underground tunnels. This main axis system has many branches connecting to underground hideouts, shelters, and entrances to other tunnels. Today the remaining tunnels have become a major tourist attraction giving the visitor a unique experience and a feel of what underground life during the U.S.-Vietnam War. Back to Saigon in late afternoon. Rest of the day is free at your own pace. Overnight in Saigon. Morning depart to My Tho, the closest Mekong Delta City where you will see part of the picturesque natural setting of Vietnam. On arrival, take a boat ride on Tien River toward Tortoise Island. On the way, view the fishing port, stilt houses, boat building workshops, and the other islands such as Dragon, Phoenix and Unicorn. You will also have chance to taste a variety of fruits while listening to southern Vietnamese folk music” performed by the locals. After lunch in the orchard, the amazing rowing boat trip on the small canal is something unique you should not miss. Return to HCMC for your farewell dinner and overnight stay. After breakfast, spend your last minute shopping before transferring to Tan San Nhat airport for your onward flight home. End of your school tour to Vietnam.